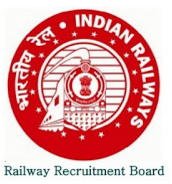 South Western Railway (SCR) Railway Recruitment Cell (RRC), Hubballi (Hubli) invites applications from Indian Citizens from eligible and meritorious Scouts and Guides candidates for filling up 03 Vacancies of Group 'C' posts and 08 Vacancies in erstwhile Group 'D' posts against Scouts and Guides Quota for the year 2015-16. The closing date for receipt of applications is 4th January 2016. Group 'C' : The candidate must have attained the age of 18 years and must not have attained the age of 29 years as on 01-01-2016 i.e. must have been born not earlier than 02nd January 1987 and not later than 01 st January, 1998. Erstwhile Group 'D' : The candidate must have attained the age of 18 years and must not have attained the age of 32 years as on 01-01-2016 i.e. must have been born not earlier than 02nd January 1984 and not later than 01st January, 1998. Group 'C' : Passed 12th (+2 stage) or its equivalent examination with not less than 50% marks in aggregate. 50% marks is not insisted upon in the case of SC/ST/Ex. Servicemen/Persons With Disabilities (PWD) candidates. 50% marks is also not insisted upon in the case of candidates who possess qualifications higher than the essential minimum prescribed qualification. Educational Qualification must be from Recognized Institutions. Scouts & Guides Qualification: The following qualification would apply for recruitment of Scouts & Guides to posts in Grade Pay ₹ 1900/- and Grade Pay ₹ 1800/-. c) Should have attended two events at National level OR All Indian Railways' level AND two events at State level. How to Apply: Application as per the prescribed format shall be submitted on A-4 size good quality paper. The Application can also be downloaded from the website of RRC, Hubballi. The application should be filled in English/Hindi language only. The application should be filled by the candidate in his/her own handwriting and signed. The candidate has to affix / paste (not to be pinned) one recent passport size color photograph without cap & without coloured glasses (not older than three months), duly attested by signing partially on the application and partially on the photo in the space provided for the purpose. Candidate is also required to enclose one extra passport size photograph (same as the one affixed/pasted on the application) along with the application. For Group "C" Posts (in respect of South Western Railway Zonal quota / Rail Wheel Factory, Yelahanka quota) : Applications complete in all respects should be sent in a cover super scribed as "Application for Group 'C post against Scouts and Guides Quota for the year 2015-16" and to be addressed to "THE ASSISTANT PERSONNEL OFFICER /RECRUITMENT, RAILWAY RECRUITMENT CELL, SOUTH WESTERN RAILWAY, 2ND FLOOR, GENERAL MANAGER'S OFFICE BUILDING, CLUB ROAD, HUBBALLI-580 023". For Erstwhile Group 'D' posts (In respect of Hubballi Division quota) : Applications complete in all respects should be sent in a cover super scribed as "Application for Erstwhile Group 'D' post against Scouts and Guides Quota for the year 2015-16" and to be addressed to "THE SENIOR DIVISIONAL PERSONNEL OFFICER, DRM'S OFFICE COMPOUND, SOUTH WESTERN RAILWAY, HUBBALLL-580 020". For Erstwhile Group 'D' posts (In respect of Bengaluru Division / Rail Wheel Factory, Yelahanka quota) : Applications complete in all respects should be sent in a cover super scribed as "Application for Erstwhile Group 'D' post against Scouts and Guides Quota for the year 2015-16" and to be addressed to "THE SENIOR DIVISIONAL PERSONNEL OFFICER, DRM'S OFFICE COMPLEX, SOUTH WESTERN RAILWAY. BENGALURU -560 023". For Erstwhile Group "D" posts (In respect of Mysuru Division quota) : Applications complete in alt respects should be sent in a cover super scribed as "Application for Erstwhile Group 'D' post against Scouts and Guides Quota for the year 2015-16" and to be addressed to "THE SENIOR DIVISIONAL PERSONNEL OFFICER, SOUTH WESTERN RAILWAY, IRWIN ROAD, MYSURU-570001". The last date for receipt of applications is 04-01-2016. For candidates residing in Assam, Meghalaya, Manipur, Arunachal Pradesh, Mizoram, Nagaland, Tripura, Sikkim, Jammu & Kashmir, Lahaul & Spriti districts and Pangi sub-division of Chamba district of Himachal Pradesh, Andaman, Nicobar and Lakshadweep islands and the candidates residing abroad, the closing date for receipt of applications by post will be 19-1-2016. For official notification and application format published in Employment News 5 - 11 December 2015 Page No.18 and 19.